John’s Automotive Care is the leading choice for Subaru service and repair in San Diego. When we say we put our “heart and soul” into our work, we mean it. Upon arrival at our auto repair shop, you will be greeted with a warm smile and kind words. Your Subaru will receive efficient and effective service performed by a capable team of ASE-and Master-Certified auto mechanics. John’s Automotive Care has been servicing and repairing Subaru cars for nearly two decades, and we are proud to say that we see generations of families pass through our doors. Our concern for the safety of you, your family, and your Subaru has earned several long-term relationships, and we are proud to service your son’s, sister’s and grandfather’s cars. “Fantastic service always! Very professional, they are a lifetime service center for your vehicle. “ --Chris P.
Call John’s Automotive Care today , if you have specific questions about your Subaru or would like to schedule an appointment. Our auto repair shop is located at 6267 Riverdale Street in San Diego CA 92120. 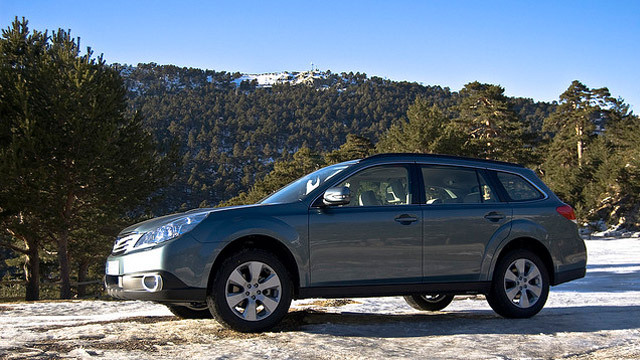 We look forward to securing the longevity, driveability, and safety of your beloved Subaru.